Are you looking for fence installation? Your search ends here. P&C Stone Work and Landscaping offers vinyl fence installation, aluminum fence installation, chain link fence installation, and wood fence installation in Massachusetts, for both homes and businesses. 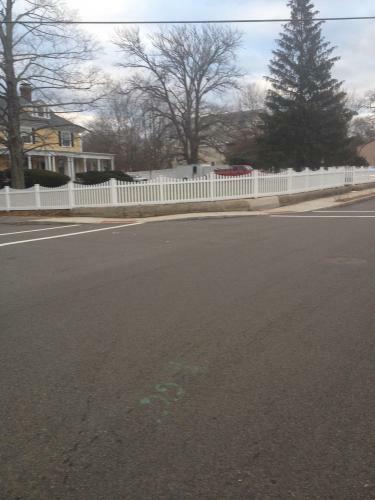 Our fence installation is done promptly and with the expertise, knowledge, and tools to get the job done efficiently. Our priority is your satisfaction, so when you call us for a fence installation estimate, you know you’ll receive expert knowledge, attention to detail, precision and a fair price. As a fully-licensed and insured fence company, you know that when we install your fence, all bases are covered. We can also provide custom fencing, along with designs, to meet your specific needs and the architecture of your home. We can provide a fence that will enhance your home’s curb appeal while also offering the functional use you require. Enjoy beautiful, strong, and secure fencing that lasts for years to come. From commercial projects applications to small home decorative fencing, we provide the same level of professionalism and customer service to all of our customers.